These Locations In Delhi Are Perfect For A Pre-Wedding Shoot! 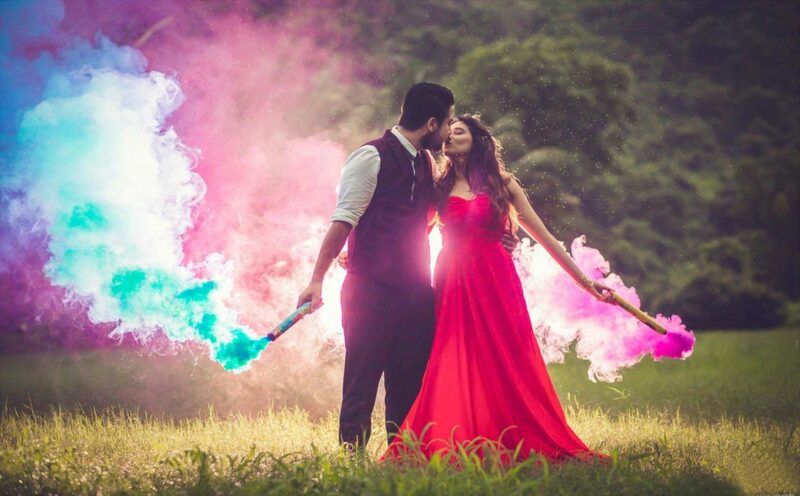 These days pre-wedding photoshoots are all the rage when it comes to the latest wedding trends. Couples are really fascinated and excited about their wedding shoot. They put extra efforts into finding the right photographer and the perfect location to get clicked. The location of the shoot plays a very vital role in pre-wedding photography. You can choose an exotic location or somewhere you have memories allied. You can simply carry 2-3 dresses, and leave the rest to your photographer. A well-chosen location adds an eternal beauty to the shoot. Here we have curated a list of locations in Delhi, where you may have the best, most magical shoot ever! The lush greenery in the beautiful garden is a perfect setting for any photographer. Early morning lights provide an ideal setting for to capture the natural look and expressions of the bride and the groom. The colourful flowers in the background provide a much better setting than any artificial decorations in a studio. 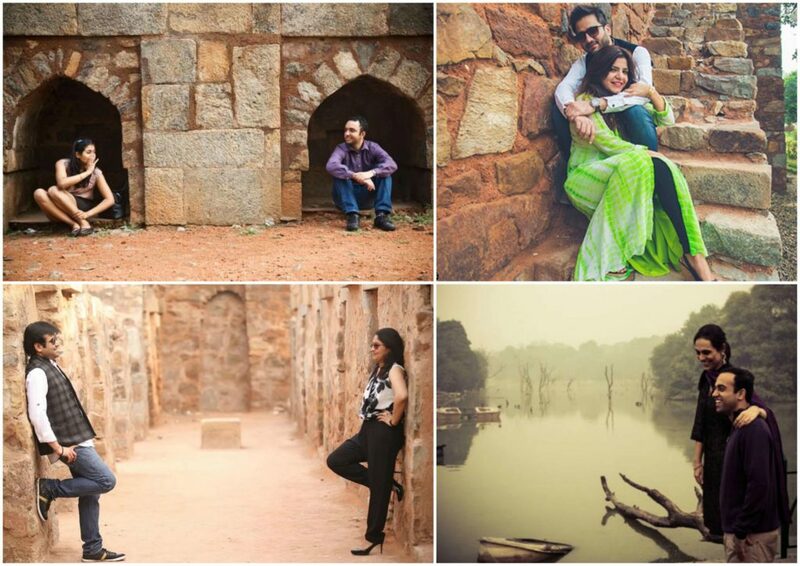 Hauz Khas Village is a home to lots of things that could be used to add a rustic touch to your pre-wedding shoots. There is the lake, the fort, and even the lanes give off a retro vibe when empty. Additionally one can also go to the Deer Park situated behind the village for a close to nature experience. 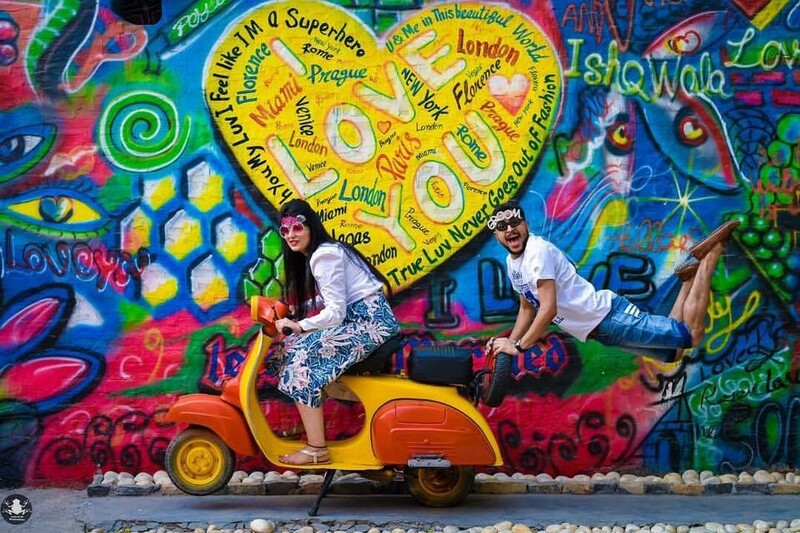 These are colorful walls that have been painted by more than 28+ street artists from all over India and around the world. It is now transformed into an open-air art gallery adding a contemporary charm to Lodhi Colony. 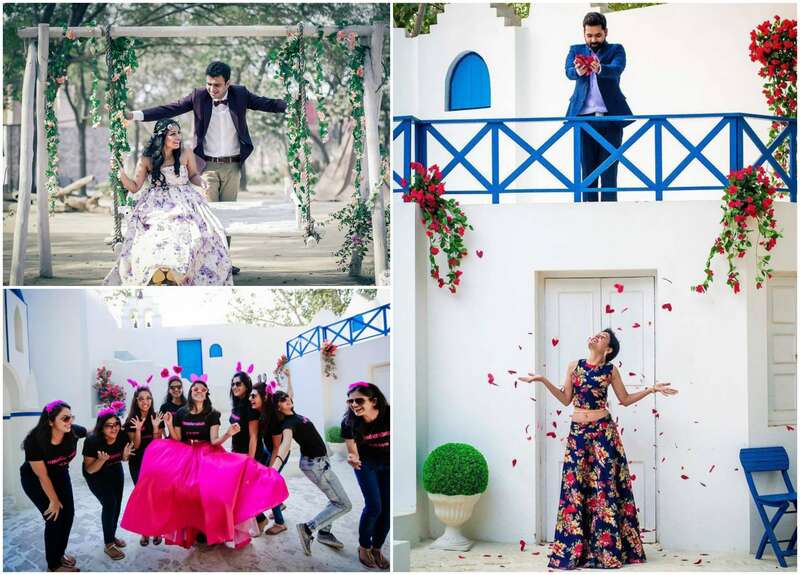 Needless to say, it is a perfect place for a pre-wedding photo shoot in Delhi for couples who want to capture the contemporary charm of Delhi. 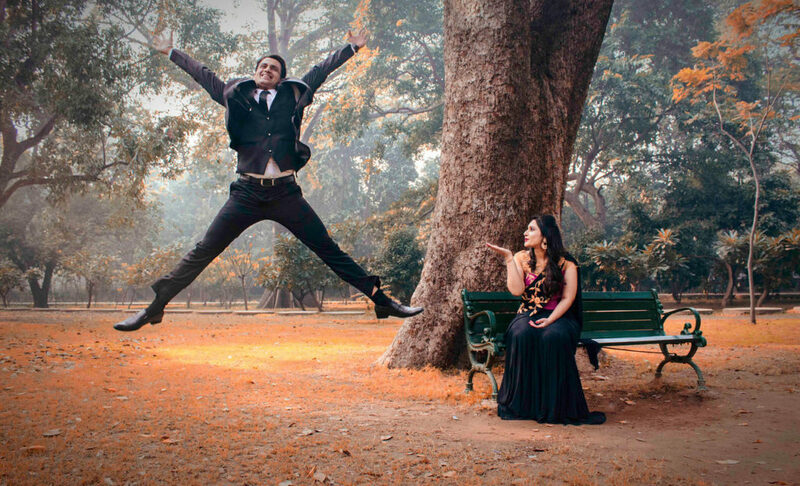 It is one of the most beautiful places for a pre-wedding shoot in Delhi. Situated in Noida, the bird sanctuary is home to over 302 bird species and is an ultimate location for photographers thanks to its natural light and large spaces. The sanctuary opens at 7 am in the morning and that is when you should schedule your shoot for everything is fresh and glistening at this time. 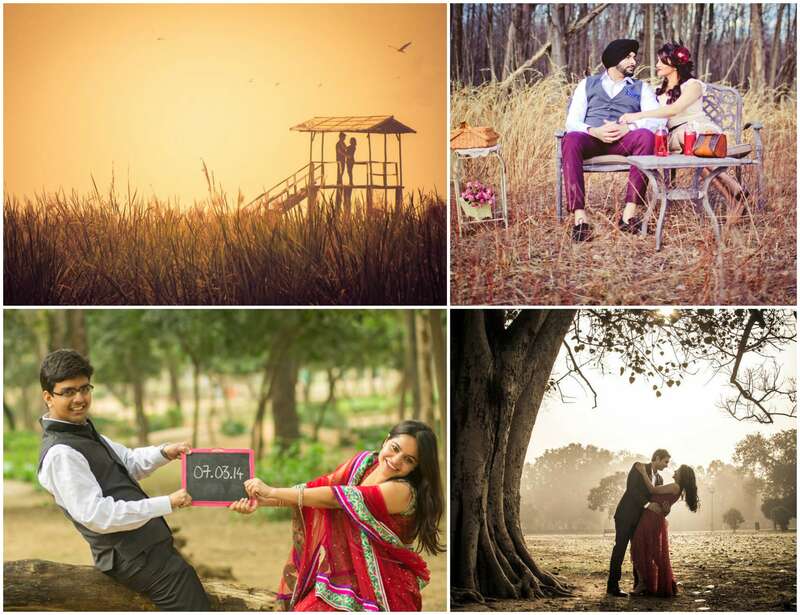 Situated in Faridabad, Perfect Location is the ideal shooting ground for pre-wedding photoshoots. It has both, manmade and natural backgrounds, ranging from a Greece like backdrop to a horse ranch among others. Couples can also use props, such as vintage cars, or campfires to add a magical touch to their shoots. Beer For Just INR 99 @ Brewery In Gurgaon Is Driving Us Nuts!